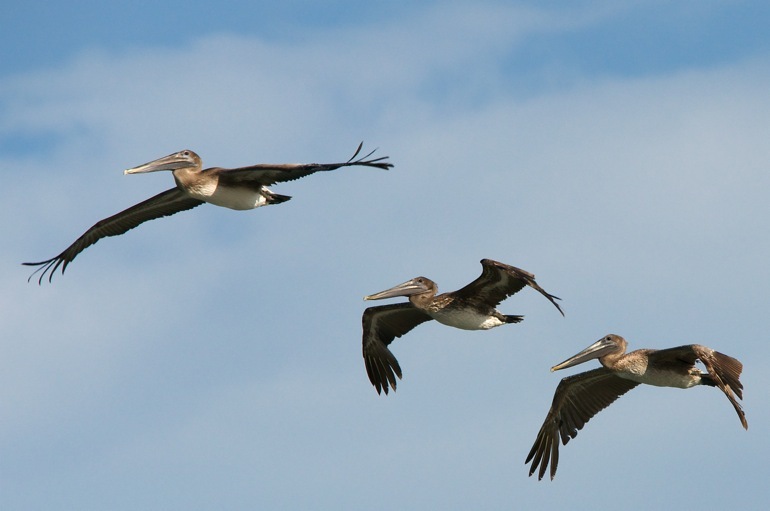 A trio of pelicans complete a flyover of the South Patrick beach. Pelicans were flying all over the beach near Patrick Air Force Base on Tuesday, as people waited for a 747 carrying shuttle Atlantis to buzz the Space Coast. They offered something to shoot at before the airplane arrived.